Walmart Grocery Pickup coming to Sebastian, Florida. 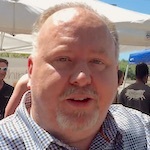 SEBASTIAN – Using a new Walmart Grocery app, customers will soon be able to pick up their groceries at the Sebastian Walmart store. We couldn’t help but notice a new parking area at Walmart, on the north side of the Sebastian store. 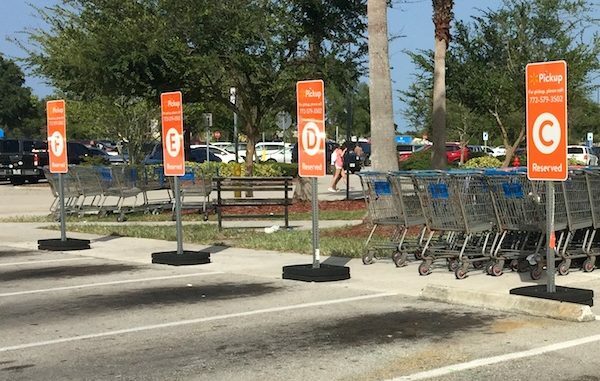 “Those are signs for the Online Grocery Pick-up,” Ragan Dickens, Walmart Director of Corporate Communications, told Sebastian Daily. This new service is designed to help you avoid grocery shopping by selecting items you want to purchase online, then picking them up. The Walmart Grocery app is quite simple to use. You can navigate to different sections of food on the app or locate an item by searching for it. 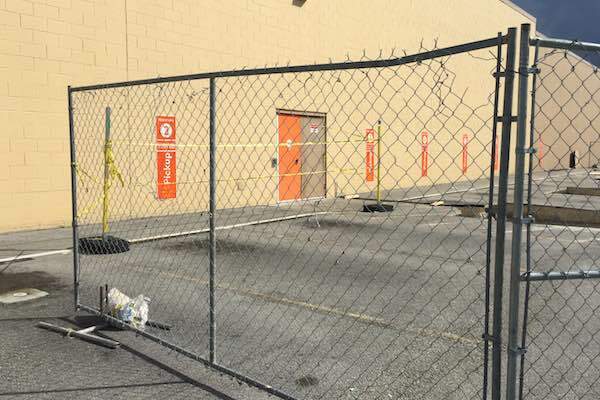 The Sebastian Walmart is currently constructing the new grocery pickup area on the north side of the building. It will soon look like the image shown below. This is what the grocery pickup will soon look like at the Sebastian Walmart store. Shoppers who miss the Scan & Go handhelds will now be able to shop items from their phone and pick them up without walking into the store. 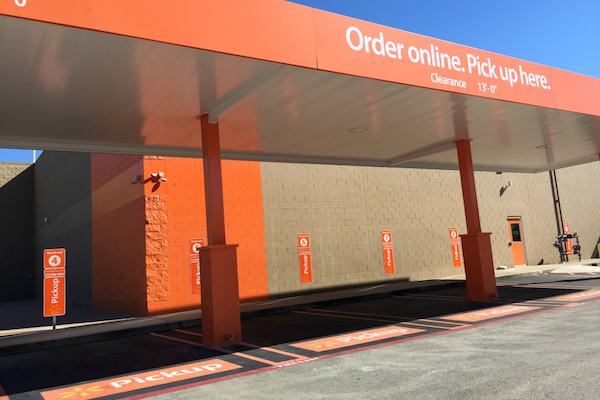 You can also reserve your pickup times on when you’ll be driving by the store to pick up your groceries. Think about it. It’s a Thursday at 1 p.m., and you’re using the Grocery app to shop and pay online. Then you schedule a Friday 5 p.m. time to pick up your items on the way home from work. How convenient is that? The app will also notify you through a notification or email (or both) on when you’re items are ready for pickup. The service has been a success in other markets, but will now be tested here in Sebastian, Florida. This service is similar to the one McDonald’s has for pickup. Their app, similar to Walmart’s, allows you to order and pay for your food from your mobile phone and pick it up. Only time will tell if the Walmart Grocery Pickup service is a success. We’ll let you know when it’s ready.